Pakistan is divided into four provinces which are: Punjab, Sindh, Balochistan and Khyber-Pakhtunkhwa. The majority of Pakistan’s money comes from its rich agricultural sector and it is responsible for employing almost half of Pakistan’s labor force. Despite the severe floods in Pakistan, farming has been intensified and Pakistan is now one of the largest suppliers and producers of wheat, sugarcane, cotton and rice. Pakistan has undergone major political tension in light of the “war against terror”. Eight years of military rule in Pakistan contributed towards its political instability. The resignation of Pervez Musharaf in 2007 and the discovery of Al-Qaeda leader Osama bin Laden in 2011 in Abbottabad combined with the frequent air strikes and terrorist attacks in the tribal areas, have all exacerbated political tension in the country. However violence in Karachi has decreased following a government crackdown and Pakistan’s economy is substantially recovering from its political instability. Despite the political situation, Pakistan has amended its constitution to curtail opportunities for the military to manipulate the political process and many people are optimistic about the upcoming elections in May 2013. We operate from five principle cities within Pakistan which are: Islamabad, Karachi, Lahore, Sialkot and Faisalabad. Despite the political situation in Pakistan there are many opportunities for a firm of our size, where we represent the interests of our clients to dispose, value or manage assets in Pakistan. Our main office in Pakistan is located in the heart of Lahore, one of Pakistan’s major cities . 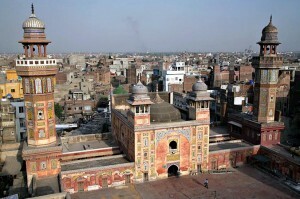 Lahore is famously known as the food capital of Pakistan. Lahore is located in the Punjab province which is the most popular and developed province of Pakistan. Since the 1950s, Punjab province has undergone rapid industrialization, with many of its new factories being established in Lahore. The Punjab is endowed with many historical and beautiful scenic attractions and it is one of the most fertile lands in the world, having an excellent network of rivers and canals. Punjab truly is the land which is endearingly antiquated and progressively modern. We advise on family matters, such as forced marriage, international child abduction, divorce proceedings, property valuation for family financial proceedings and verification of legal and government documentation. Vice versa, within Pakistan we provide a wide range of legal services such as advising and representing government organizations for the procurement of goods and services from the international community, as well as advising high net worth individuals who have an extensive array of assets which are largely based in London and the Middle East.